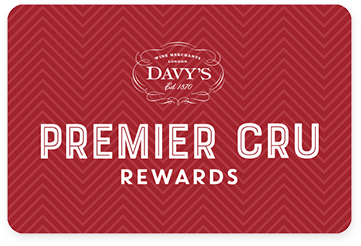 Premier Cru Rewards - Purchase this today and earn 117 points to redeem for free wine and gifts. Château Talbot takes its name from John Talbot, Earl of Shrewsbury, who lost the battle of Castillon in 1453 allowing the French to take control of Bordeaux’s vineyards after 340 years of British ownership. It is also perceived as one of the most reliable wine in St-Julien. Their second wine is sourced from younger vines and has plenty of blackcurrant and wild berry fruit alongside cedar aromas. Very elegant yet full bodied with silky tannins. French still red wine from Saint Julien Bordeaux France, made with Cabernet Sauvignon, Merlot and Cabernet Franc. Located in St Julien near Château Beychevelle, Château Talbot is one of the largest estates in the Médoc. It takes its name from John Talbot, Earl of Shrewsbury, who lost the battle of Castillon in 1453 allowing the French to take control of Bordeaux’s vineyards after 340 years of British ownership. Château Talbot is perceived as one of the most reliable wine in St-Julien. Since the 1950s the estate has been owned by the Cordier family and today Nancy Bignon Cordier, her husband Jean-Paul and, their children Philippine, Marguerite and Gustave are in charge of the estate. They have hired famous oenologist Eric Boissenot as a consultant and produce rich wines that can age for a long time. View our selection. The 110 hectares of single unit vineyard is planted with 66% Cabernet Sauvignon, 30% Merlot and 4% Petit Verdot. There is also a small parcel of 5 hectares of white grape varieties, very unusual for the region, that is planted with 80% Sauvignon and 20% Semillon. The grand vin usually spends 18 months in oak barrel of which 50% is new.